Established in 1978, W&S Plastics has continued to grow and improve throughout the years. We are now the largest and most advanced custom injection molder in NSW Australia. We also have a facility in Johor, Malaysia which commenced production in October 2016. This facility grew from a brand new, empty factory, to an operational state-of-the-art injection molding facility in just 6 months thanks the dedication and hard work of our team. Injection molding machines from 20 to 700 tonne. A well equipped tool room which allows us to conduct modifications and repairs quickly and inexpensively. Finishing processes including printing, welding, assembly. More details can be found here. The Sydney facility is the base for our engineering and innovation center. Our team of engineers ensure rapid execution of new product development including early adoption of automation systems to ensure that our customers get the products that they need, quickly and inexpensively. Injection molding machines from 60 to 450 tonne. All injection moulding machines are connected through a manufacturing and execution system that monitors and controls all functions of the molding machines. This takes advantage of the benefits of Industry 4.0 and the internet of things. A tool room which allows us to conduct modifications and repairs quickly and inexpensively. Finishing processes including printing and assembly. White room environment ideal for molding components for the medical device industry. W&S Plastics has everything required to seamlessly turn your idea into a finished product ready for the consumer. Injection molding is our core business and this starts with a tool (die or mold). After assisting with product design, we design a tool to suit your needs and budget. We can build prototype tools that are designed for less than one hundred parts or high volume production tools with a warranty for 1,000,000 shots. W&S primary uses European injection molding machines which deliver excellent quality components with unparalleled repeatability. The latest of these machines include the impressive iQ weight control technology from Engel. Our IM Technology page describes this technology in detail. We have tool and part validation processes to suit all applications. Starting from as simple as a few measurements and testing of fitment to mating components and finishing with Part Submission Warrant including Production Part Approval Process (PPAP) with Specification Conformance Report (SCR), Capability Analysis (CPk), IQ OQ PQ and Run-At-Rate. Our Validation page describes these processes in full so that you can determine what best suits your application. We source components from around the world that are used in over molding or assembly processes. We print, weld, glue, screw, anneal, assemble, test and package products. Have a look at our product finishing page for more information. There is nothing too difficult for us. Andrew Wiseman is Managing Director and CFO of W&S Plastics Australia. Andrew also holds Directorships in W&S Plastics (Singapore) and W&S Plastics (Malaysia). Anne-Marie manages Human Resources and Payroll for W&S Plastics in Sydney. Greg is the General Manager of W&S Plastics in Sydney. After studying Mechanical Engineering at the Institute of Technology Sydney Greg entered the plastics industry where he has remained throughout his career. Chacko is General Manager of W&S Plastics in Malaysia. He has a Bachelor's degree in Commerce and a Masters in Management Accounting. In the past he has headed up large manufacturing business in Jakarta, Indonesia and Johor Malaysia manufacturing consumer goods such as vacuum cleaners. Dale is the Operations Manager of W&S Plastics in Sydney. After studying engineering at UTS he entered the shoe manufacturing industry where he spent most of his career learning and applying LEAN and other efficiency methodologies. Dale is a leader in this field. Baktha is the Operations Manager - Malaysia. he has a Masters in Engineering from the University of NSW, Australia. Alan Cox is the Quality Assurance Manager at W&S Plastics Pty. Ltd. and holds a B.Bus (marketing major) from the University of Technology, Sydney. Carl Stevens is a Project & Tooling Manager at W&S Plastics. carl has s wealth of experience in tool making, tool design and management. Ferry Surianto is the Business Development Manager for W&S Plastics Pty Ltd. He graduated as Bachelor of Manufacturing Engineering and Management from UNSW and has a very strong manufacturing and customer relation background. Paul Francois is the Business Development Manager for the United States and is based in the San Francisco Bay area. He graduated from the University of Wisconsin at Milwaukee with a degree in Marketing at the School of Business Administration. Paul has a diverse background in the plastics industry and over 15 years of experience working with major medical device manufacturers globally. 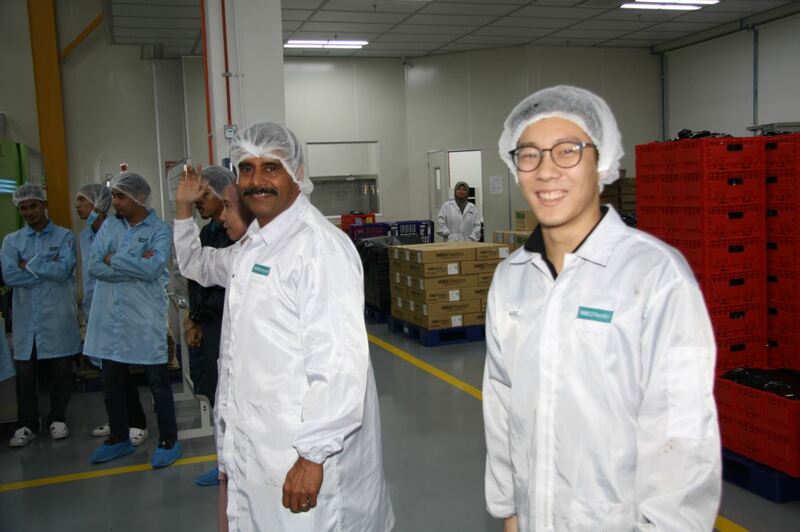 YH is the Quality Manager in our Malaysia plant. She graduated from University Science, Penang and has a degree in Technology. Guy Bennett is Planning and Purchasing Manager for the Sydney Plant. Guy's skills and experience in planning and purchasing is largely responsible for W&S' reputation for excellence in service delivery. Nurul Syuhada Ahmad Tajodin is responsible as an HR Executive based in our Johor, Malaysia plant. She holds a Bachelor Degree in Human Resource Development from University Technology Malaysia (UTM), Skudai, Johor, Malaysia. During the span of her career, she has covered most of HR spectrum including training & development, payroll, recruitment, employee relations and welfare.